Clipboards are one of the coolest inventions of all time! How clever is it to have a board with a giant clip to hold loose papers --so simple, and so useful. And, you couldn't have a more perfect item in your classroom. 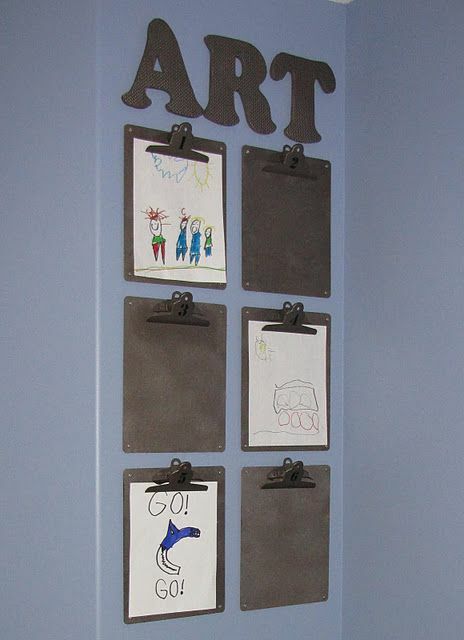 I love clipboards so much that I started a Pinterest board just to collect ideas for clipboards. Clipboard Craze is where I've collected lots of ideas for decorating and using clipboards. 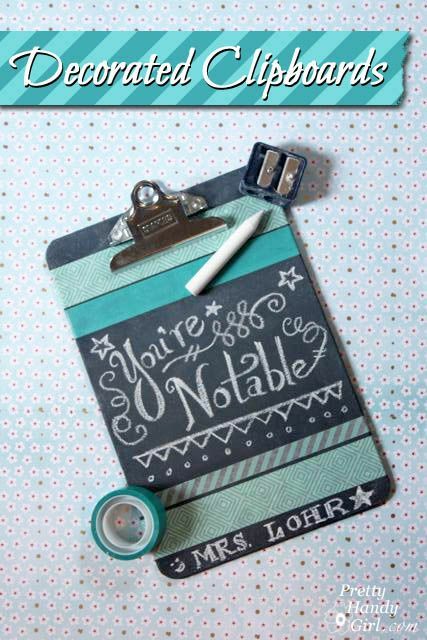 This clipboard is not only adorable, but you can also write on it! And how about this one. 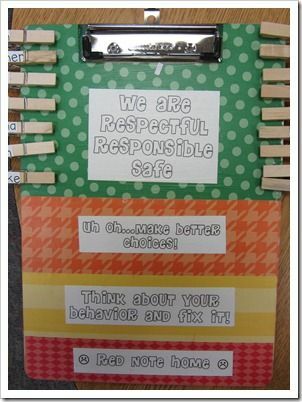 . . Keeping your behavior clip chart on a clipboard! That way it can travel with you around the room, around campus and even on a field trip. 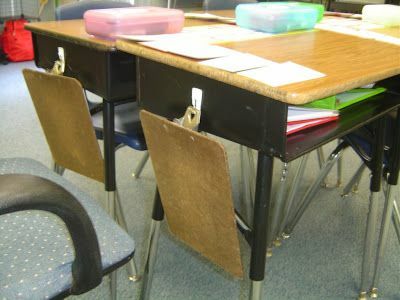 The student clips can stay private instead of being displayed on the wall for all to see. 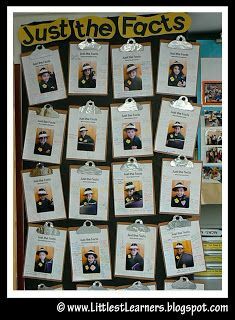 Clipboards can be used by teachers and students. I kept several handy at all times. One my clipboard had sets of address labels. On a label I could take notes about a student's reading, writing or math skills or about their behavior. Then that label was transferred to a page in my teacher binder. Each student had a page that would hold the note labels for the quarter. It was a great way to keep my notes about students organized. 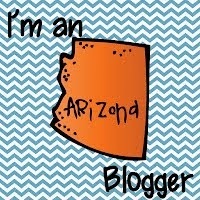 This one has the same idea, but is much cuter than the one I used. How about using a different color ribbon for each subject. Then you could easily recognize which clip board you needed. You can use clipboards to display student work. . .
Or students can use them whenever they are working on the floor or at a center. 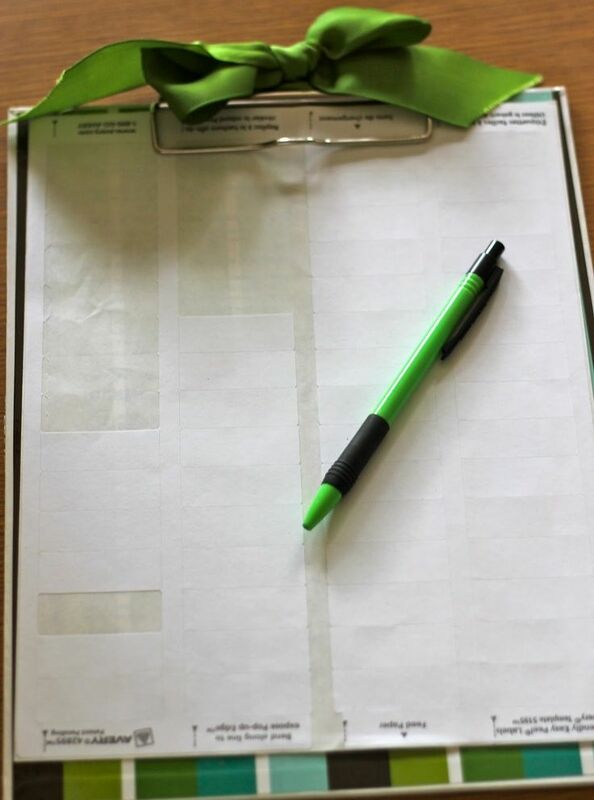 I really like this idea of keeping their personal clipboard on a hook on the side of their desk. 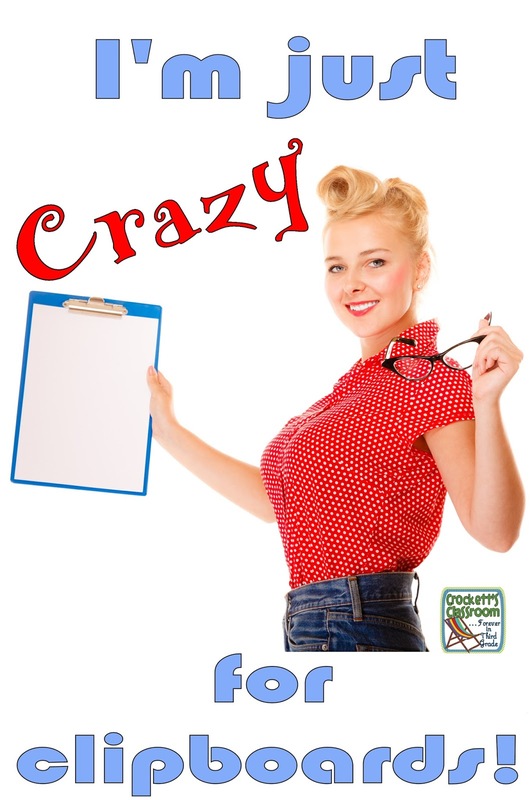 So, when you begin getting your classroom ready for a new school year make sure you include a few clipboards! 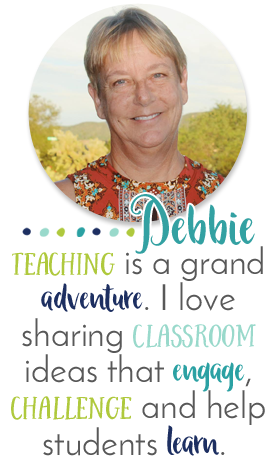 I hope you'll be able to take at least one of these ideas and put it to use in your classroom.